Fusing two vastly different styles to create an eclectic yet homey kitchen can add that unique edge to your space. After all, opposites do attract! So, if you’re looking to achieve a design scheme that combines modern trends with inherited, vintage or antique pieces, our tips below will lend you a hand! 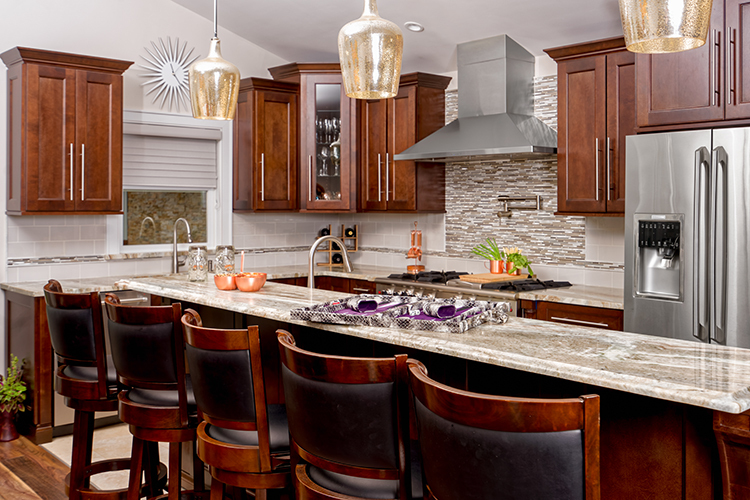 Determining the overall look and feel you want to achieve in your kitchen is a great starting point. If you’re looking to create a space that expresses your individuality, we believe it’s best to use items and pieces of furniture that are contrasting in periods of time. Carefully combining vintage and modern pieces will help develop the feeling that the room has evolved over many years. We especially love blending modern trends with inherited pieces, as this combination gives your kitchen a uniqueness that no other home will. While vintage pieces stimulate your nostalgic senses, contemporary designs inspire an aura of elegance and tranquility. Make sure each design element is of the highest quality so your kitchen stands out – this merger is one that must be well thought out and not just thrown together. Creating the right balance is a key factor when merging these contrasting schemes. Our tip is to distribute the different pieces, so they’re not grouped in their respective periods or styles. For example, a vintage armoire or chair will fit in better if you pepper in a few accessories from the same era to tie it all together. However, if you have an ancient wooden table, you can consider pairing it with ultra-modern acrylic or steel chairs. 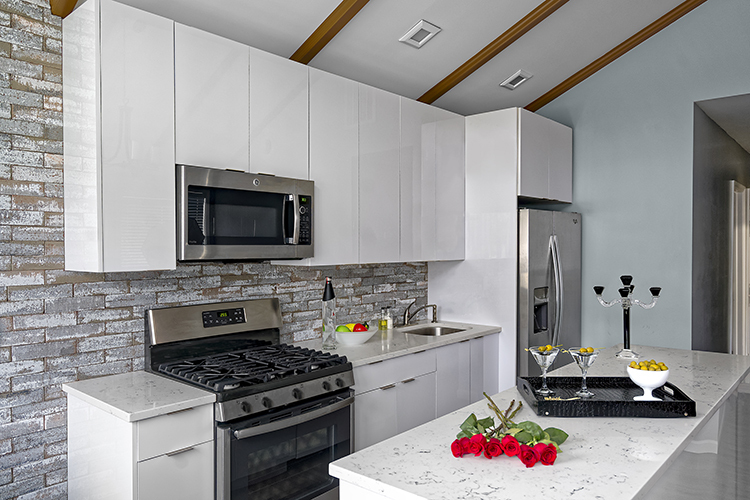 If you’re buying modern cabinetry, we suggest salvaging old architecture and re-purposing it. Old windows, vaulted ceilings, or antique doors will contrast well with a modern white cabinetry design. Be sure to add in the different pieces slowly, though. Take a step back and review each element as you add it to the room. With time, you will create the perfect mix of old and new. 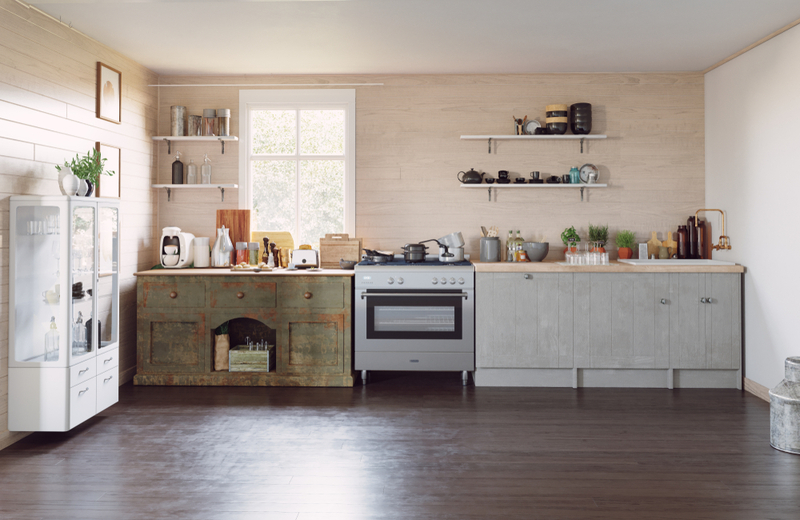 Have you ever designed a modern vintage kitchen? We’d love to hear about your tips and suggestions in the comment section below.